What does the camera LED indications mean? When recording, putting a fresh SD card into the camera or simply operating the camera on regular basis, the camera LED indications helps you keep on top of things. 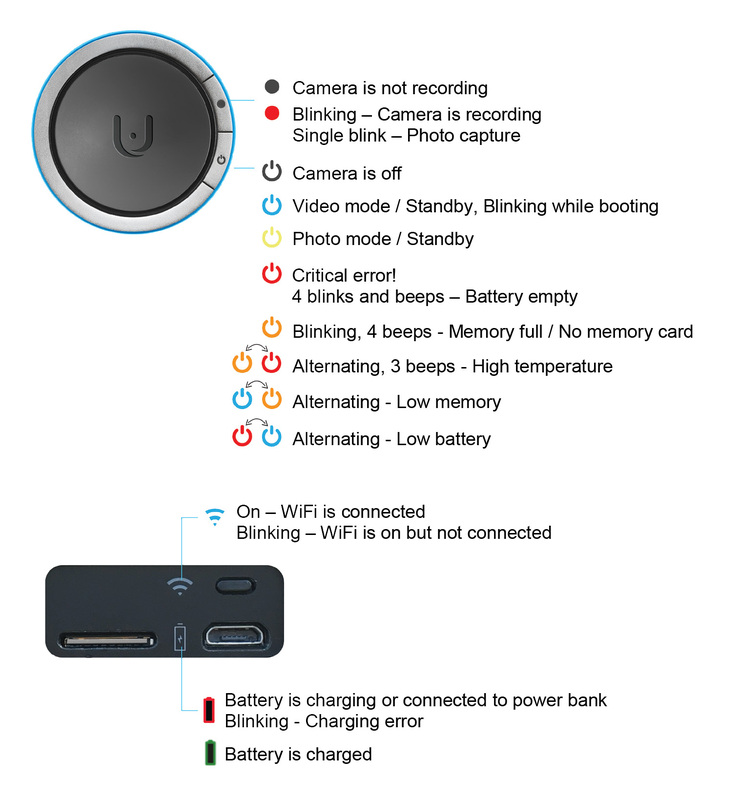 4 LED indicators can be found on the camera, one for recording, the power indicator (main indicator), WiFi, and battery. 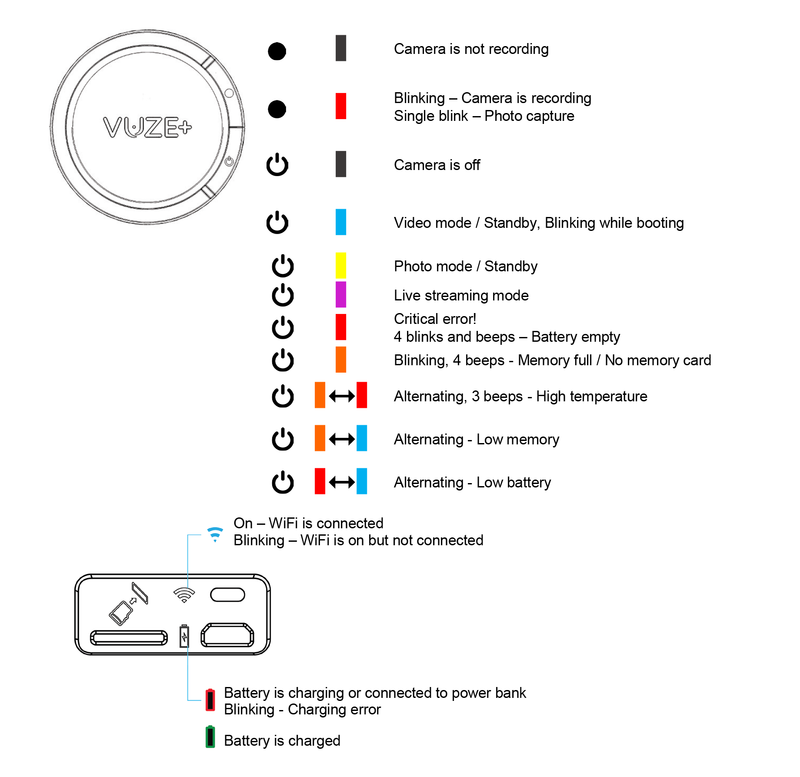 If you encounter an issue with your camera based on the following images please refer to our support team and send us a short video showing how your camera reacts.